Spectacular! Absolutely spectacular!… If you love foreign dramas set in ancient history, weathered with military struggles, and endowed with an epic grandeur reminiscent of “The Lord of the Rings”, you’ll love the 2008 Chinese film Red Cliff . Centering around two of my all-time favorite Asian actors, Tony Leung Chiu-Wai (Chungking Express, 2046, Infernal Affairs, In the Mood for Love) as military commander Zhou Yu, and Takeshi Kaneshiro (Chungking Express, House of Flying Daggers) as military strategist Zhuge Liang, the two must work together to defeat a common imperial threat. Not to spoil it too much, but my favorite scene is when the commander and strategist take a rare moment from inevitable military decisions to indulge in their musical expertise on the Chinese guqin zither. Quite a duet (or duel) to behold! Not afraid of the occasional light-hearted relief or breathless touch of romance to cast the violence into perspective, this film delivers an unyielding 5 of 5 stars! 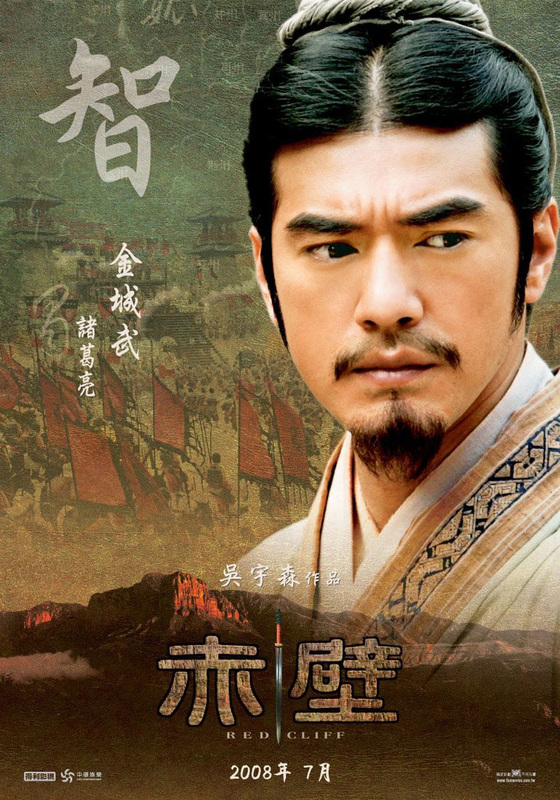 This entry was posted in Asian Titles and tagged Red Cliff, Takeshi Kaneshiro, Tony Leung, Tony Leung Chiu-Wai. Bookmark the permalink.